The following video is brought to you courtesy of the RT America YouTube Channel. Click the video below to watch it now. 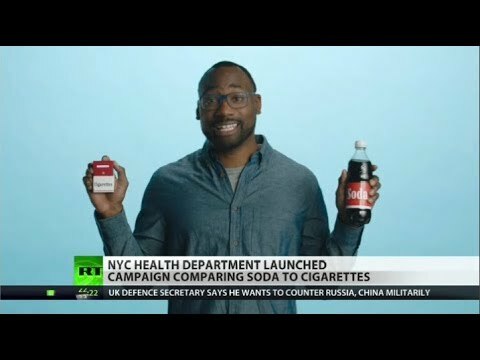 The New York City Department of Health has launched a campaign comparing soda to cigarettes. The ad sites the dangers of both smoking and drinking soda and is primarily aimed at teenagers. Are they exaggerating the issue? RT America’s Trinity Chavez reports. She also discusses new research into the health dangers of heavy drinking.